Not all server racks are made equal, and one size does not fit all applications. In order to fill the need for all scenarios we carry air-conditioned, NEMA rated, soundproof cabinets for loud servers, and a wide variety of open racks tailored to fit your exact environment. From a budget friendly rack to a high end custom cabinet solution, we can help. Servers come in a wide variety of depths, that's why we carry server racks from all major brands to source from hundreds of options to find the right fit for you. 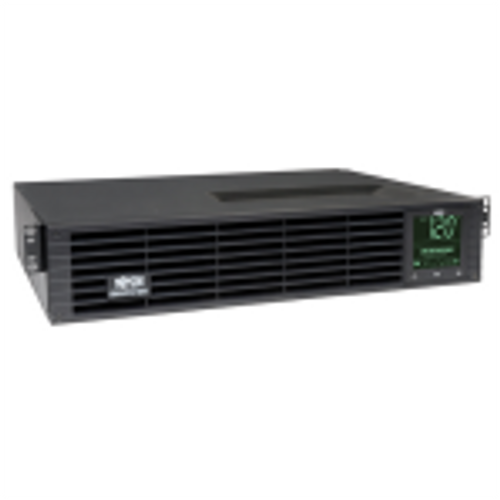 From standard 42u 19" rack to fit an HP, Dell, IBM or other top brand, to specialty 23" server enclosures, cabinets, and open frames, it can be difficult to find the exact solution you need. 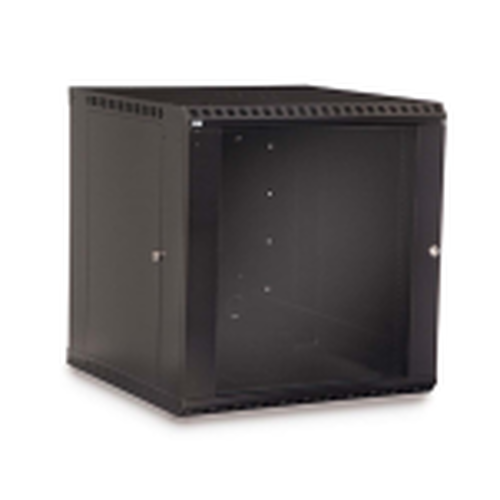 We can help you find the right rack mounted enclosure. A standard server rack is often quite a bit cheaper than more robust versions, but these are still long-lasting durable high quality racks designed for deployment in any data center in the country. 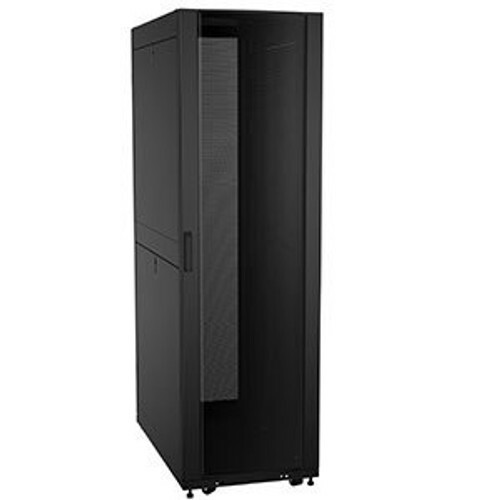 Customers often choose these server racks because they are standard heights ranging from 18u to 48u and standard 19" and 23" widths with traditional options like removable side panels and basic locking front and rear doors. Above the economy version you can find a myriad of additional features like door options, complex accessory options (fan tops, cable management trays, lighting, etc.) and often heavier gauge metal for additional rack strength. We work with manufacturers to insure that the products we offer are super sturdy and easy to assemble if necessary. This server rack features a plexi front door and vented rear door with removable airflow plates. Solid side panels are removable and also available in an IR version – internally removable only. 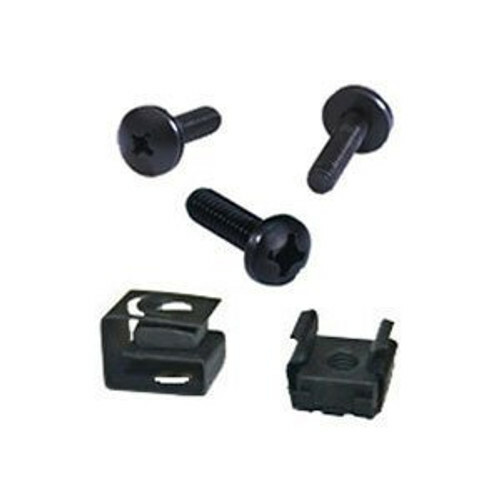 Mounting rails are M6 square hole, 10-32 tapped or 12-24 tapped, your choice. Casters and levelers standard. This sturdy, steel and aluminum welded rack ships completely assembled. PCI Compliant with 2500 lbs static load. Unpack and rack! Like the RS series server racks above, the PCI Compliant, RSP rack utilizes similar modular pieces, with perforated doors. 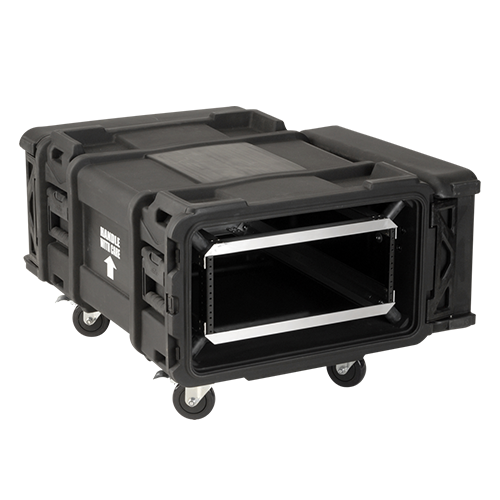 Manufactured 100% in the USA, this superior quality Rackmount enclosure comes standard with a fully perforated (63% open) front and rear door for maximum airflow. Can be customized with a variety of door handles such as a card reader, remote monitor or combination lock. We offer three different models of acoustic sound deadening quiet racks ranging from 14dB to 28.5dB sound attenuation. 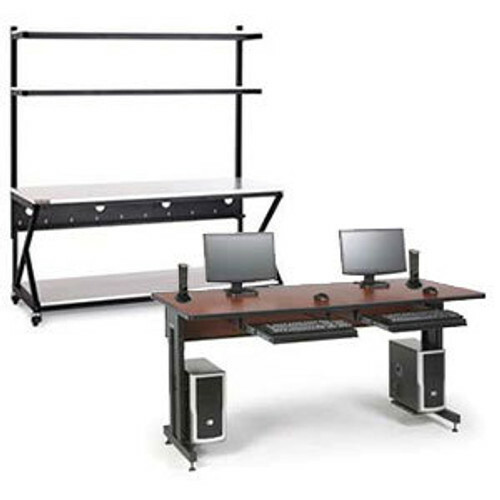 These racks make it possible to sit or work beside loud server equipment and still concentrate or speak with co-workers or clients. Quiet racks come fully assembled with the UCoustic soundproof server rack series in 24u and 42u, and the Acousti Quiet racks in 9u, 12u, 24u, 35u and 44u. The AcoustiQuiet can be customized to different sizes. The AcoustiRack Active features noise cancelling technology and is available in 15u and 33u sizes. With the same strong welded steel and aluminum frame as our RS and RSP series, these PCI compliant, air conditioned server racks have been sealed for optimal airflow. You have the choice between internal Rackmount air conditioned units or externally side mounted HVAC units. Units range from 4,000 BTU to 20,000 BTU and can be made in almost any height, width or depth. 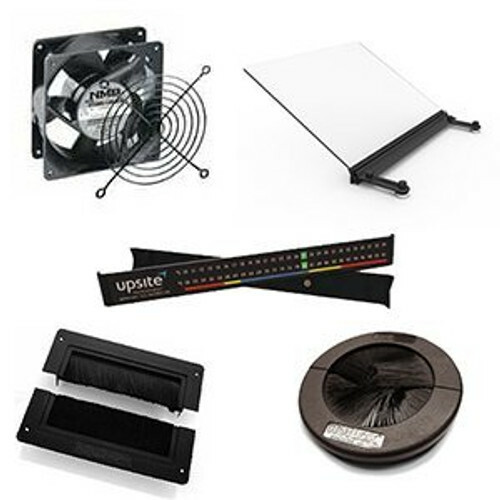 These AC rack solutions are designed for areas where ambient air temperature is not sufficient to support hot IT equipment or dirty environments where sealed airflow is desired. Built to NEMA 12 specs (IP54 equivalent) when dust and water drips or splash resistant racks are required. 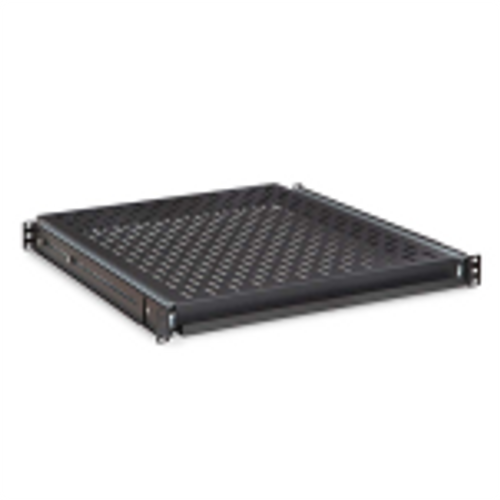 These Rackmount enclosures are offered up to 47u with up to 41.75” usable rack depth. Useful in factory environments, construction areas, power stations, shipping facilities, warehouses or processing plants. Made in the USA, ships fully assembled. 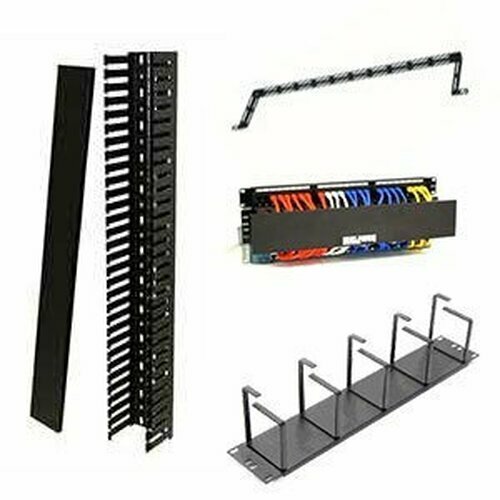 Designed specifically for sidemount large switches such as Cisco’s Nexus or MDS series, this PCI Compliant, oversized network rack will redirect airflow to properly vent equipment. 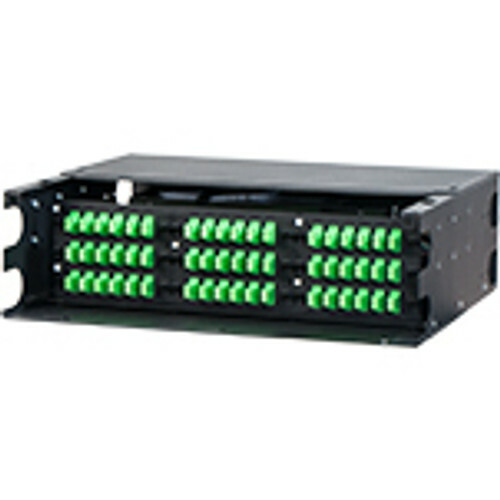 Switch can be mounted front or rear facing as your application requires. Made in the USA, these racks ship fully assembled allowing you to unpack and rack. The knocked down frame allows these racks to ship economically while still supporting 3000 lbs when fully assembled. 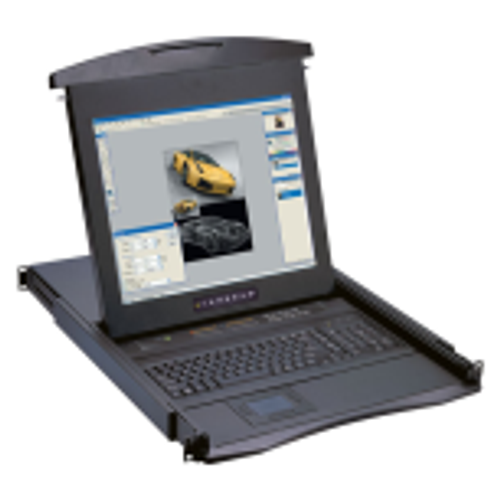 These open rack frames expand from 22.5” to 35.25”, allowing greater flexibility in mounting equipment depth. Bottom plates serve as a free shelf and unit can be purchased with or without angle support brackets. Other product details include: steel construction, m6 square hole rackrails and made in the USA. Same rack frame as the RS, RSP series, this welded steel and aluminum frame has three sets of infinitely adjustable vertical rack rails. Maximum flexibility in mounting multiple pieces of equipment, all different depths. BONUS: if your needs change from an open 4 post rack to a rack enclosure, call and order doors and side panels. Saves money and time. No need to re-rack equipment. Just enclose it! Made in the USA, ships fully assembled. 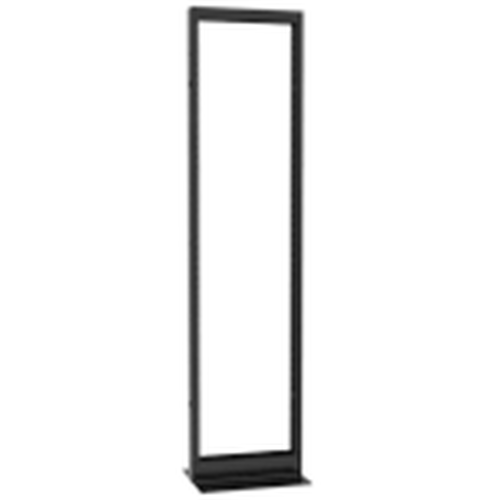 The Slim 5 series is a medium/light duty frame ideal for AV, closets, or light equipment needs. Supports 400 lbs and ships knocked down. 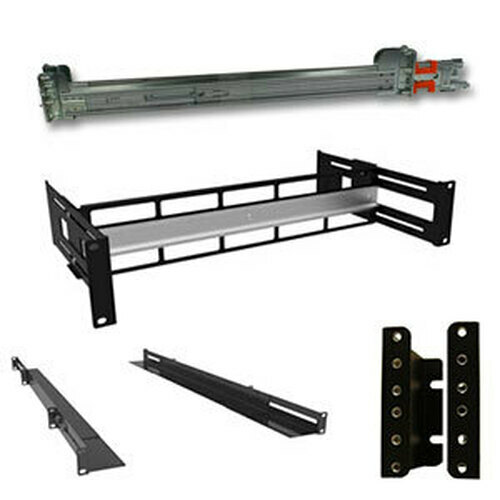 The narrow 20”w Rackmount frame uses minimal floor space with the posts of the rack being the vertical mounting rails. Made in the USA. Highly portable, we offer 9u or 12u small 4 post racks that fit neatly under desks, conference tables, on top of work benches or any other area where a small profile is needed. Comes standard with levelers. 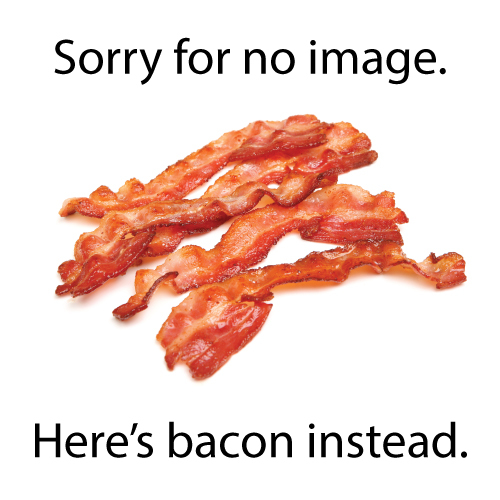 Caster ordered optionally. Manufactured in the USA, ships knocked down. At Rackmount Solutions, we have had the pleasure of working with thousands of IT professionals and their buying departments. 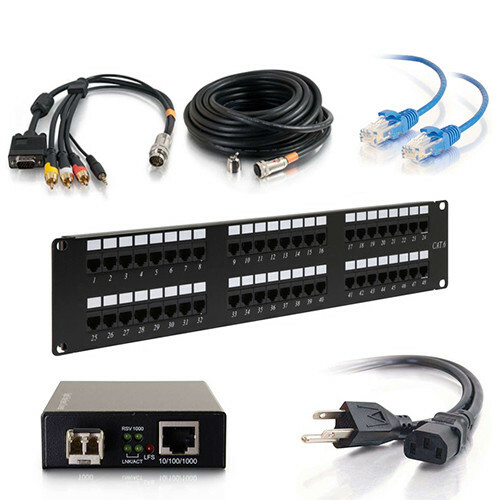 - IT wants the server rack or network cabinet to be on time, assembled without problems, and with design that stands the test of time and best practice. - Both want cold rolled steel and innovation that keep up with the highest quality industry standards. Since 1999, we have provided server racks, cabinets, and enclosures that continuously satisfy our customer’s high standards and are Made in the USA! Our IT products are flexible and compatible with all rack mount servers or other electronics, to adapt to changing needs.